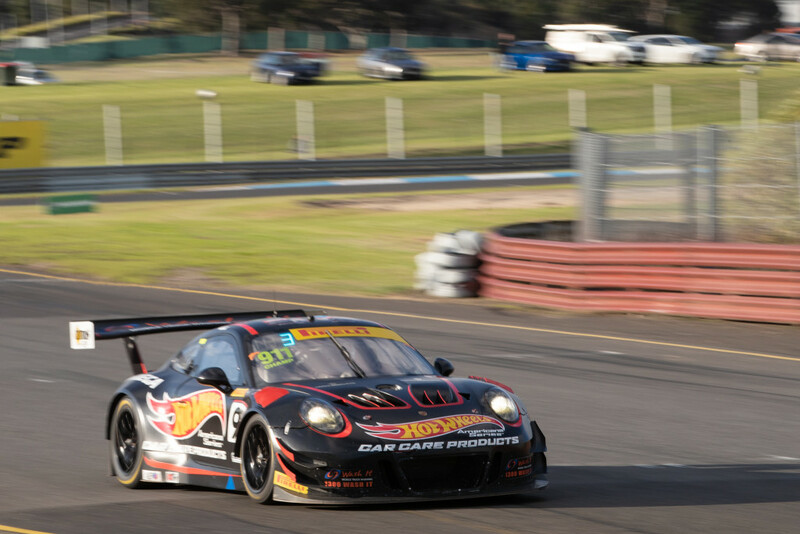 Liam Talbot and John Martin are looking to continue their great form in the Hot Wheels™ Car Care Products Porsche at this weekend’s continuation of the Australian GT Endurance Championship at Phillip Island in Victoria with Sunday’s 500km race. 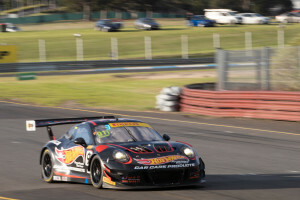 The event will also couple as a pointscoring round of the Australian GT Championship – which Talbot currently leads after the recent event at Sandown. The duo are currently second on points standings after the opening round at The Bend Motorsport Park and are looking to strike back after disappointment last year at an incredibly wet Phillip Island Grand Prix Circuit. With cold conditions facing the massive 35 car field this weekend, Talbot’s aim is to walk away with the lead of both Championships, but also to stretch the legs of the magnificent black Hot Wheels™ Car Care Products Porsche on the majestic Phillip Island circuit. Phillip Island is one of only a handful of true GT-style circuits in Australia where the aerodynamic features of the FIA GT3 racecars can be used to their full advantage. With weather always a factor at Phillip Island, strategy will be key from the Walkinshaw GT3 outfit that prepares the Porsche on behalf of Talbot and Martin. Two half hour qualifying sessions will set the grid on average of the two drivers before the 500km, three and a half hour race on Sunday. The Australian GT Championship and Australian GT Endurance Championship event form the feature race of the Shannons Nationals at Phillip Island this weekend. Livestreaming of the 500km race can be watched from 1:15pm AEST Sunday on www.thenationals.com.au. “We’re hoping that this weekend can see us continue the good form from Sandown,” said Talbot. “We welcome John back into the car for the Endurance aspect this weekend and his knowledge assisted us no end at Sandown when we went with a single driver strategy. “Being a round of both Championships once again this weekend means that it is doubly important to get as many points as possible. “We’ve got a slender lead in the GT Championship and aren’t far off the lead in the Endurance Championship, so it would be nice if we could walk away with the Hot Wheels™ Car Care Products Porsche on top of both. “The test day with Walkinshaw GT3 recently down at Phillip Island was very positive. It is a circuit that is a true driver’s circuit and we can really feel the effect of the aero when you are going around there, particularly over the back part of the circuit and out of the final corner and down the front straightaway.